Your guides and angels are here with you right now, ready and waiting, to assist you in opening fully to your empowered authentic self. You are an active participant in this process, and with the eloquent guidance of Archangel Uriel in this new Angelic Activation .MP3, the process is simply divine. The energy of this beautiful angel message which was recorded on the Full Moon with Uriel, will shine light into the dark, and will illuminate that which needs to be changed or released so that you can open to more joy, love, and a higher personal vibration. In this message with Archangel Uriel you will be guided to relax and open your subtle senses and chakras. This will allow you to directly experience and witness, divine healing energy, and your personal divine healing orb of light. 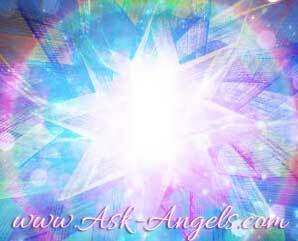 I feel this is one of the clearest messages from the Angels yet and I am excited to share it with you. This angel message will guide you to connect with the energy of your guides and angels as well as your own healing orb of light… Divinely designed to help you right now. This message is set to the beautiful music of Thaddeus… Simply relax, breathe and listen as you are lifted into the realm of the Creative Source of all that is. Connect with your angels and your divine healing orb… Designed specifically to help you in the now moment. This powerful .MP3 guided angel meditation is available as a part of the Angel Healing Meditations CD which you can access by clicking here. Fully awake, relaxing in my recliner four large mist balls appear before me, one slowly moves toward me and enters inside me and that night while laying down light shines from my eyes. What does it mean? I have seen Orbs, when I have been under threat from Lower Realm Beings, often during the night. They exude a presence of pure love & safety, they reassure me and send me back to sleep again. Wishing you all The best for the new year and thanking you for the beautiful angel messages and meditations God bless. Thankyou so much Melanie for your beautiful message I have just listened to this and a feel totally calm and relaxed. Thank you for your peaceful, loving and healing meditations. After losing my husband in September of this year, my life felt unbalanced and I felt unloved. This brought on lower self esteem which I am rebuilding now because of you. I went through the motions, but I felt numb. Now I feel loved, protected, and I am building a new life for my 2 special needs boys and myself. You have truly opened my eyes and heart. Thank you for your e-mails and Angelic messages ~ ~ ~ I am thankful that you understand financial limitations ~ ~ ~ it doesn’t mean I don’t value the messages and meditate with them ~ I feel guided everyday ~ Peace and Light ~ ~ ~ Suzette.